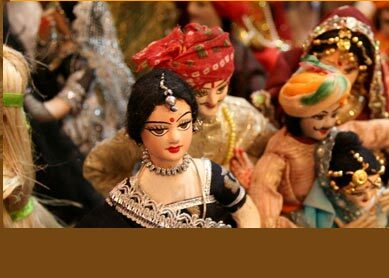 Highlights : Delhi,Varanasi, Agra, Khajuraho, Gwalior, Ujjain, Bhopal, Mumbai - famous historical and cultural spots of India. Wonderful natural sightseeing at Shivpuri and Panchmadhi. Game viewing in Madhav National Park. The Heritage tour of 19 days visit some of the world famous locations of India known for their rich culture and history. Visit to culturally and historically rich locations like Delhi, Varanasi, Agra, Khajuraho, Ujjain, Bhopal and Mumbai, which have been included in this tour is all set to mount your vacationing experience. Day 1: Delhi. Arrive here at late night. Check into the hotel. Day 2: Delhi. Full day sightseeing of Delhi. Visit popular places like Qutab Minar, Red Fort, Lotus Temple, Humayun Tomb, Jama Masjid, Raj Ghat, India Gate and President House. Day 3: Delhi-Varanasi. After breakfast, drive to Airport, and fly to Varanasi. Drive to Sarnath, and visit its famous Buddhist sites. Drive back (Varanasi) to hotel in evening, and stay overnight. Day 4: Varanasi-Agra. Take morning boat ride at holy river Ganga. Later visit famous spots like Benaras Hindu University and Bharat Mata Temple. Afternoon, catch flight for Agra. 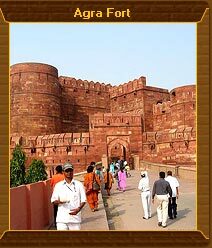 In evening, drive to Fatehpur Sikri from hotel (Agra), and see the ruined city. Drive back, and stay overnight at hotel. Day 6: Khajuraho-Orcha-Gwalior. Drive in morning for Orcha, from where you will further drive to Gwalior. At Orcha, see Jehangir Mahal, Raja Mahal, Ram Raja Temple and Chaturbhuj Temple. Reach Gwalior in evening. Check into hotel. .
Day 7: Gwalior-Shivpuri. Visit to Gwalior Fort, Manmandir Temple, Sas Bahu Ka Mandir, Suraj Kund, The Tombs Of Tansen and Jivaji Rao Scindia Museum. Take evening drive to Shivpuri, and reach there by night. Stay overnight at hotel. Day 8: Shivpuri. Spend full day at this rich natural sightseeing spot. Enjoy game viewing in Madhav National Park. Visit also the Bhadaiya Kund and Cenotaphs of Shivpuri. Stay overnight at hotel. Day 9: Shivpuri-Ujjain. Drive to Ujjain after having breakfast at hotel. Reach Ujjain afternoon. Check into hotel. spend evening in leisure. Day 10: Ujjain. Explore this world famous Hindu pilgrimage centre for whole day. Visit Mahakaleshwar Temple, Bada Ganesh Ji Ka Temple and Kaliadeh Palace. Overnight at hotel. Day 11: Ujjain-Indore-Mandu. After breakfast, drive to Indore, one of the important cities of Madhya Pradesh. 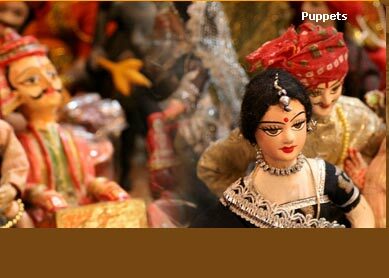 Visit Kanch Mandir and famous museum here. Later, drive to Mandu, and stay overnight here. Day 12: Mandu. Explore this City Of Joy for the whole day. Visit places like Asharfi Mahal, Hindola Mahal and Rewa Kund. Overnight at hotel. Day 13: Mandu-Bhopal. Drive to Bhopal in morning. Spend evening in leisure. Day 14: Bhopal-Sanchi In morning, drive to Sanchi, and visit its world famous Stupas and other Buddhist sites. In evening, drive back to hotel (Bhopal). Day 15: Bhopal-Panchmadhi. Leave for Panchmadhi in morning. En route, visit to Bhimbetka, and see its world famous paintings in its 500 caves. In evening, reach Panchmadhi. Check into hotel, and stay overnight at hotel. Day 16: Panchmadhi. Explore the beautiful hill station of Panchamdhi for whole day. Discover its waterfalls, Satpura forest and hills. Enjoy sunset viewing at Dhupgarh point. Overnight stay at hotel. Day 17: Panchmadhi-Jawalpur. From Panchmadhi, drive to Jawalpur in morning. After reaching Jawalpur in evening, check into hotel. overnight at hotel. Day 18: Jawalpur-Mumbai. Spend the morning in leisure. Later, take small sightseeing of Jawalpur. In night, catch train for Mumbai. Overnight at train. Day 19: Mumbai. Take half-day sightseeing of Mumbai. In evening, we will transfer you to the airport, from where you will catch flight for your onward destination. Visit to rich natural places like Shivpuri and Panchmadhi will be fine fiesta of exploring natural heritage of India. Take game viewing in the wildlife parks, and spot wild animals while enjoying Elephant Safari or Jeep Safari. If you want some more peacefulness, ascend to hill point, and enjoy sunset viewing. Enjoy sightseeing of beautiful waterfalls. Adventure lovers will find great pleasure in taking jungle safari in famous Satpura forest.